Well, we finally did it! Check the main Full Circle site for the first of the Special Editions, beginning as requested with the 9.10 Server series, a compilation of articles featured in Full Circle Magazine #31-34. Full Circle - the independent magazine for the Ubuntu Linux community are proud to announce the release of our forty-fifth issue. How-To : Program in Python - Part 19, Virtualization : Debian Xen Part 2 and Installing Ubuntu with m23. Linux Lab - Creating a Multiboot USB stick. Top 5 - Music Annotation Apps. I'm still updating the Natty 11.04 Virtual machine as I've actually been using it to produce material for the magazine. Unity still works, but only as this bastardised hybrid with Gnome desktop running alongside it; still broken, with random crashes on startup. 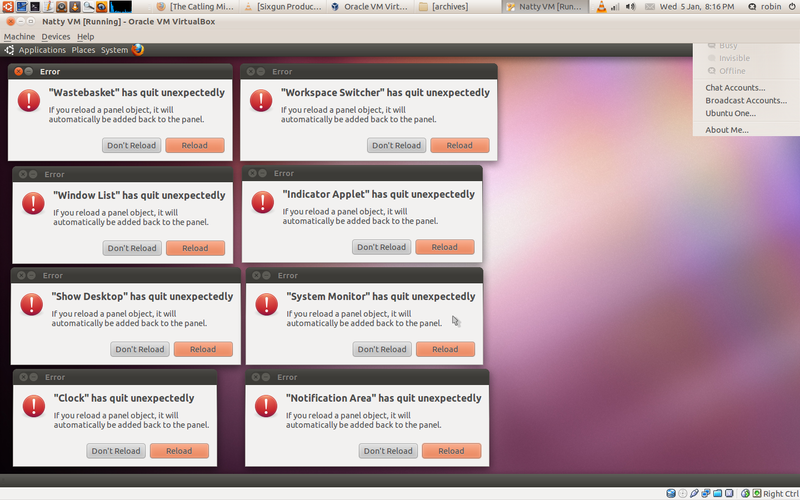 Ok, the crashed applets all re-load, but now by Gnome session seems unable to retain all the elements of a theme. Any theme. 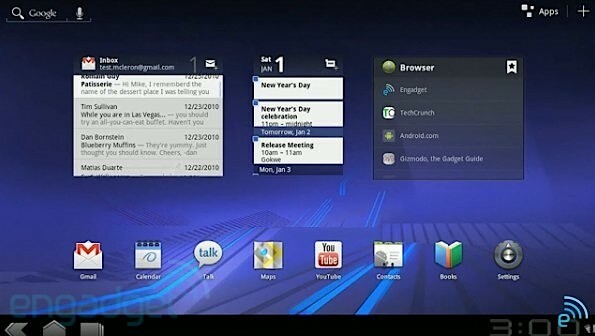 Android 3.0, the 'Entirely for Tablet' version of the operating system, codenamed Honeycomb is here. It looks like Tron. Video and images via Engadget. The existing copyright protection levy is imposed on devices that might be used for content piracy. Clearly Windows devices are never used for piracy, then, M. Sarkozy? The tax would apply to any iPad or Android-based device, but apparently Windows tablets won't be counted, since classify as full computers. The French-based Archos is among those storming the barricades since it is producing Android-based tablets and doesn't like the fact that its' own government seems to be giving preferential treatment to an American company. "The content industry is special and needs to be protected against the regular workings of the free market. In other words, silly levies like this ensure that the content industry can continue to not innovate and to not deliver what customers want, which is vitally important for gobbledegook keyboard button calculator humpty-dumpty bazinga." Why Is Canonical Selling An Ubuntu Branded Keyboard With A Windows Key? 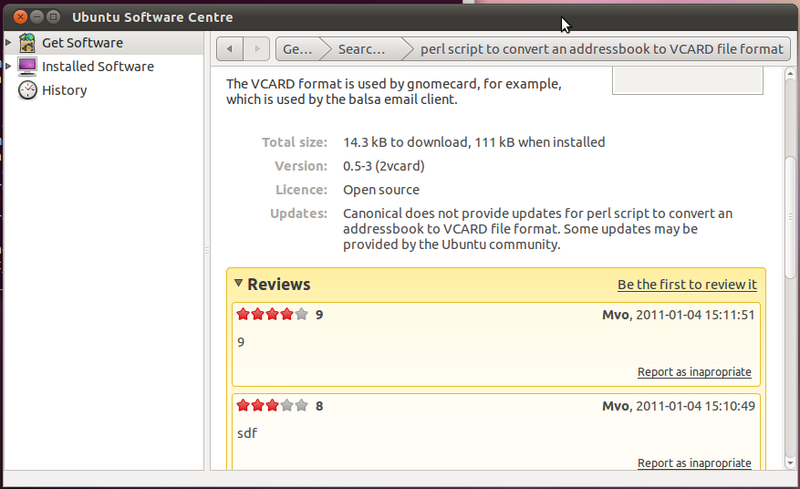 Canonical's decision to go with the Unity shell on GNOME doesn't come without risk. Mark Shuttleworth aims to unite design with free software, blurring the line between the web and the desktop, and make Ubuntu and free software popular among the kinds of user who have never before heard of free software. A new distro named Fuduntu has been released. It's a Fedora remix in an Ubuntu-stylee. It's not an official Fedora or Ubuntu release. Fuduntu earns its name by its design to fit somewhere in-between Fedora and Ubuntu. It is a Fedora remix optimized for Netbook and other portable computers. 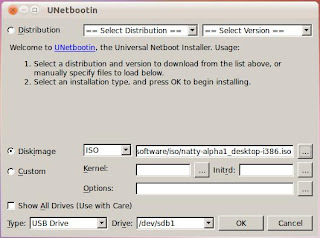 The Ubuntu Software Centre in 11.04 Natty Narwhal will finally have support for application ratings and reviews, a la Linux Mint. The current prototype (pictured courtesy of OMG-Ubuntu) looks rough round the edges and has a way to catch up with the Mint equivalent, which I like. Among the news stories in Full Circle Podcast #15 we discussed 10 Brainstorm ideas hitting Natty. Brainstorm is the ideas wiki which nobody at Ubuntu appeared to be looking at until the Ubuntu Technical Board reviewed the most popular ideas a couple of weeks ago and CTO Matt Zimmerman published on his blog the first of what will be quarterly batches of 10 ideas to come under scrutiny, with an official response. ~ Ubuntu One progress indicator. You can derive from various responses that Ubuntu "should not require the user to make several (difficult) choices," (Amit Kucheria) and "it should just work." 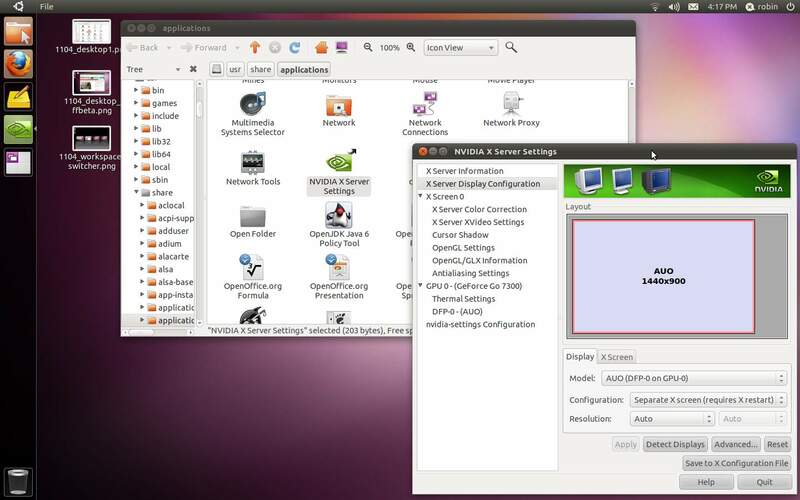 If the whole Unity graphics issue on Ubuntu 11.04 wasn't annoying enough, we get yet more stability issues even if you select Ubuntu Classic desktop. This takes you into Gnome. Sort of. 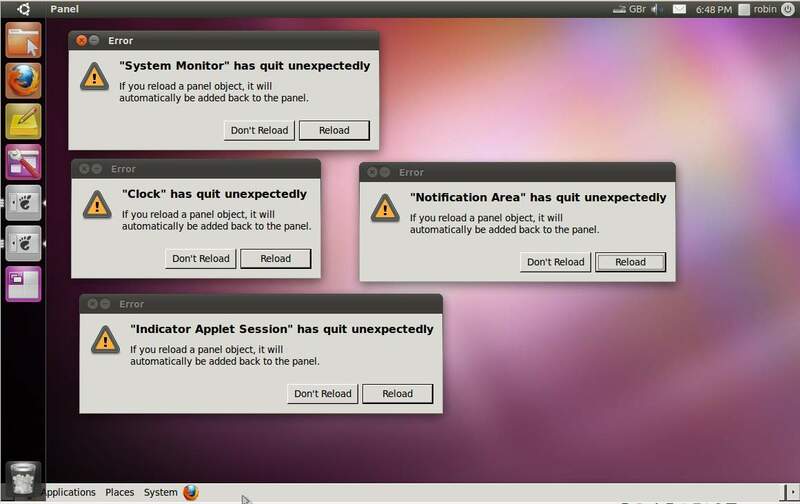 On both my setups (or at least on the 11.04 virtual machine I have left - I wiped 11.04 on the Pentium-4) entering a Gnome session produces a random number of program crashes. Between 1 and 8 gnome desktop elements crashes with an error dialog. I suppose the good news is they crash gracefully and offer to reload. A listener to the Full Circle Podcast gave us a heads-up that the fullcircle .ogg podcast feed can't be added to Rhythmbox. This is the Atom feed for .ogg audio, our RSS handles only the .mp3. There was a problem adding this podcast: Unable to parse the feed contents. Please verify the URL: http://anywhere.com/feed/atom. Would you like to add the podcast feed anyway? Selecting 'yes' lists the feed but feeds nothing. Actually, that's selling it short, this time there's a HUGE amount of content. And that's just Dave wilkins. He is very tall. 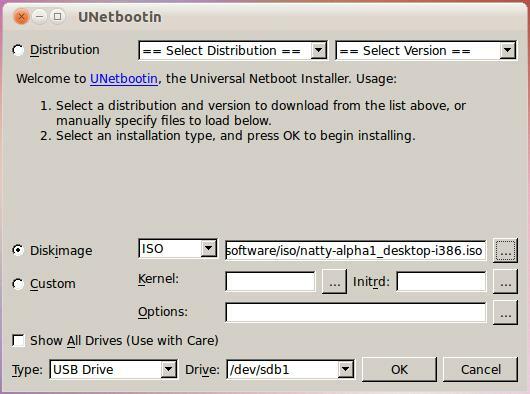 Answer: when you need to create some bootable media for utility use – say a system rescue on a sick PC or just to try out a new or updated distribution without installing to the hard drive. You don't need to remember a complex set of command-line instructions as this is a convenient graphical user interface to do the job for you. I admire Richard Stallman's zeal for all things free in software. Now he delivers a warning against cloud computing - or at least the Google Chrome OS version of it. Google's Chrome OS means losing control of data. The cloud computing OS released by Google is a plan to push people into 'careless computing', warns free software advocate, reported the UK Guardian newspaper, by forcing them to store their data in the cloud rather than on machines directly under their control. In his original warning, "making extensive use of cloud computing was "worse than stupidity" because it meant a loss of control of data." Adobe flash. The current container for web video, millions of hours of it. All wrapped up in a protocol controlled by one company, delivered through software that is buggy, resource-hungry and closed source. Except there's now web video out in the wild using HTML5, using standard tagging that HTML5-enabled web browsers understand and codecs that are already part of that browser's collection of viewable formats. I spoke too soon. Natty Alpha-1 lasted one re-start and the Nvidia graphics on the Pentium-4 imploded AGAIN. Having dist-upgraded yesterday and updated today, I get a video mode not supported message that won't go no matter what you do with it, and only classic desktop safe mode gives me anything usable. Any other mode crashes the gnome-panel and window manager so you get nothing running at all. Terminal sessions run, but invisibly. Do what you like with xorg, it makes no difference. And nothing I can do with grub either; at least, not in the timeframe I've got to fix it. Couldn't resist the tide any longer. I am now a twit. Which means something entirely different in the UK vernacular. I am tweeting (kinda) @robincatling. Using the updated Twitter.com website, the process is very easy. 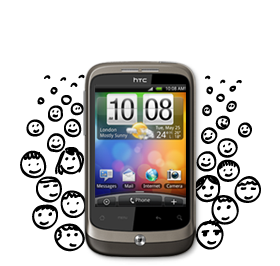 I have gone through the confirmation process so I should be able to tweet from the HTC whilst out and about (trying this very soon). Filled out just the basics of my Twitter profile, after all, I hate 98% of people on the planet, so I don't want to give too much away. OS-news has unearthed more evidence that the fight against Google and Android is getting dirty. The company that bought a stack of Novell patents is a consortium which includes not just Microsoft but EMC, Oracle and Apple. 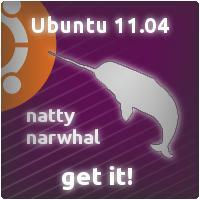 Ubuntu 11.04 Alpha1 (Natty Narwhal) - which I was trialling but gave up on - is now a little closer to working! Having seen a post on Web Upd8 regarding testing Unity in VirtualBox, I found the graphics issue there is indeed fixed and Alpha 1 runs as intended with Unity as default desktop. Sadly its still the crippled and incomplete version, but it is on Compiz and it does run in a VM. 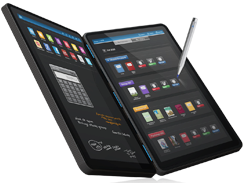 The dual-screen Ubuntu-based tablet the ‘Kno’ is to ship this month. It's a tablet PC, it runs Ubuntu and it has a double-screen! It's the Kno. Or if you're a KDE user, maybe that's the K-No? Or if youre in rehab, just say No? I don't really know. What I do know about the Kno is it has yet another really daft name. Its the Christmas holidays, there's a chicken the size of a house in the oven and I'm waiting for it to cook. What better time to root the phone and install Android 2.2? Full Circle Side-Pod Episode Seven: The End of the Shortbread Biscuits is available from the main site.